The 'Hold Back The River' hitmaker is thrilled that he has been able to get his hands on his very own version of the classic stringed instrument, the Century archtop Outfit, inspired by his own vintage 1966, as the one he has been touring with ever since his debut album 'Chaos and the Calm' stormed charts in 2015, has seen better days. 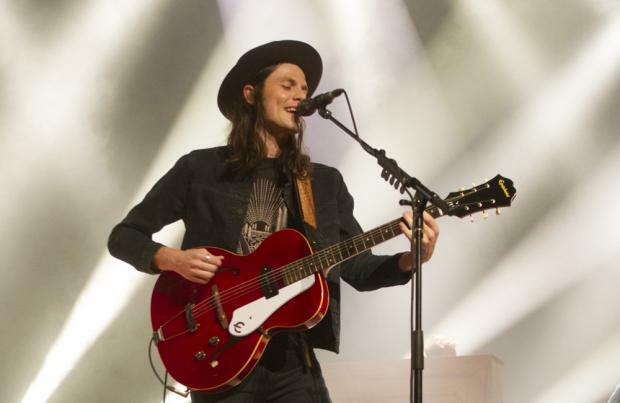 The 26-year-old singer/songwriter has played Epiphone's ever since he was a young child, so it is a dream come true to have his own custom built. He said: "My 1966 Epiphone Century has been around the world with me and is now getting older and harder to maintain on tour. "Having my own signature guitar built by Epiphone is something I've dreamed about since I started using their instruments as a kid and now that dream is coming true. I've been lucky enough to team up with Epiphone to build my own signature model Century! I now have an even more reliable version of my favourite guitar to take out on the road and I get to share that model with the world." Purchasers of the instrument will get a KinmanTM Noiseless 'Sweet Neck' P-90 single coil pickup, a 60s era Rosewood bridge with brass wheels, WilkinsonTM machine heads, USA electronics, and a 60s era-inspired hard case. Plus, a hand signed Certificate of Authenticity, artist photo and a recreation of Bay's own custom strap. Guitars will start arriving at Authorized Epiphone retailers beginning in July.